SAN FRANCISCO, Ca. (July 10, 2012)—Wild horse deaths and injuries during Bureau of Land Management (BLM) helicopter roundups are the focus of a rally and press conference held today in front of the Sacramento Federal Courthouse 501 “I” Street. at 2 p.m.
Americans oppose the Bureau of Land Management’s (BLM) wild horse helicopter roundups because they are cruel, costly, damage the environment and cause young foals to die, say wild horse advocacy groups such as rally organizers Protect Mustangs and Native Wild Horse Protection. During the recent Jackson Mountain roundup in Nevada, 12 wild horses were destroyed, most often because of lameness. 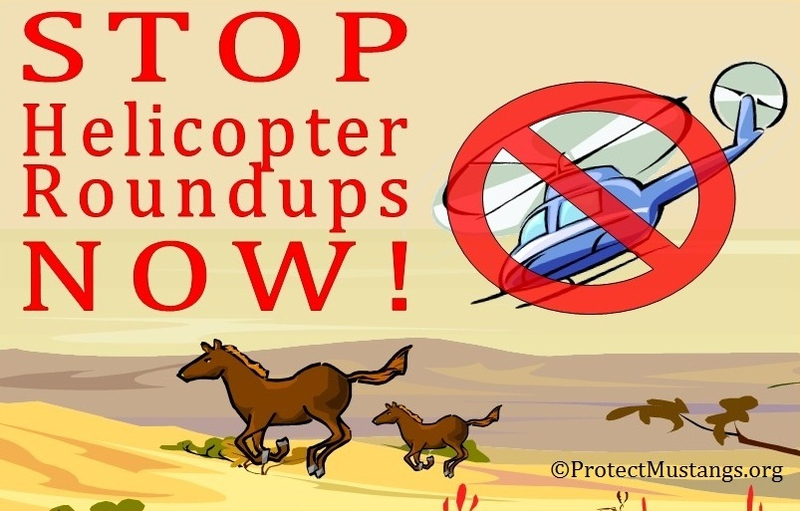 “Helicopter roundups are so routinely fatal, BLM had to invent two new terms for death last week,” states Terri Farley, author and wild horse advocate. Children, nationwide are active in the move to protect wild horses. Warren, of Las Vegas, started her advocacy at age 8 with the Petition to Save the Wild Mustangs in an effort to persuade BLM to follow Wild Horse Annie’s law. She will speak at the rally and the hearing. 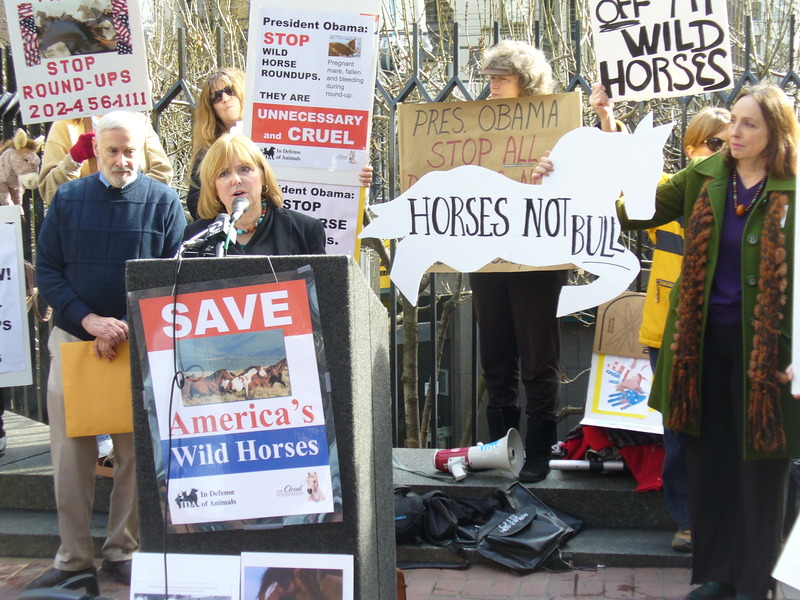 “How outrageous is it that we have to fight so hard in order to get a government agency to simply follow a law that is already clearly in place to protect our Wild Horses and Burros?” states Simone Netherlands, President of Respect for Horses. Many advocates believe wild horse roundups go hand in hand with the industrialization of U.S. rangelands. “It’s time to put science and appropriate capital stewardship ahead of good ole boy politics and special interests, the plug needs to be pulled on these abusive and expensive roundups and the time to do it is now!” RT Fitch, author and President of the Wild Horse Freedom Federation. The California BLM helicopter use hearing is open for public comment later in the day, 6:30 – 8:30 p.m. at the Woodlake Hotel, 500 Leisure Lane in Sacramento. The hearing will be heated with advocates opposing helicopter roundups. Protect Mustangs is a Bay Area-based preservation group, with a national perspective, whose mission is to educate the public about the American wild horse, protect and research wild horses on the range and help those who have lost their freedom.